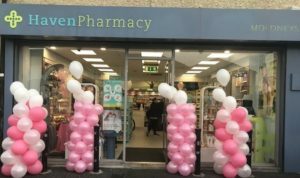 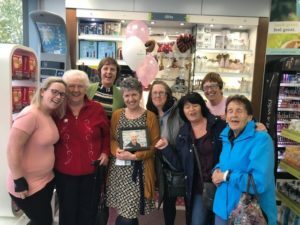 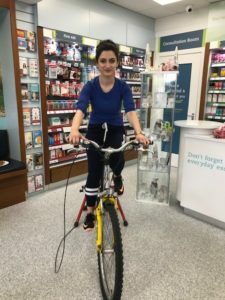 Haven Pharmacy Moloneys in Ballyfermot held a very important day in the pharmacy on Thursday 11th October as they celebrated the life of one of their dear colleagues, Greg who lost his battle to cancer a short while ago. 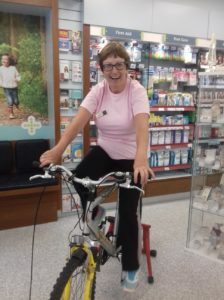 They hosted a Cups Against Cancer Coffee morning with freshly baked goods home made by all the Haven Pharmacy Staff. 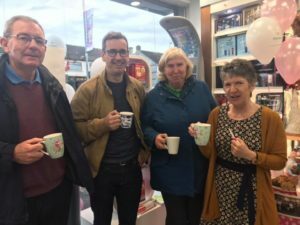 Customers enjoyed a treat & cup of tea with the Haven staff as they fondly remembered Greg. 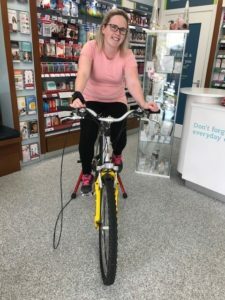 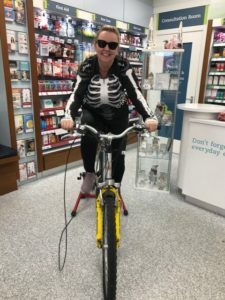 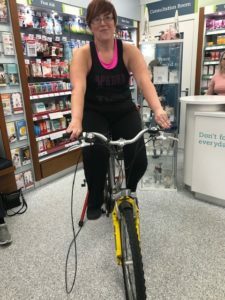 There was also a Cylcathon where all the staff took their turn on the bike. 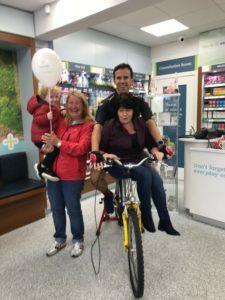 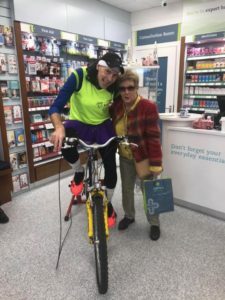 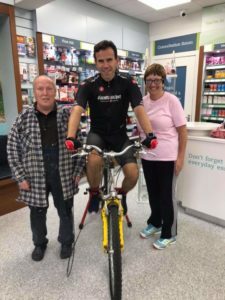 Keith Brennan, who is Chairman of Haven Pharmacy, had a great time with all the customers cheering him on! 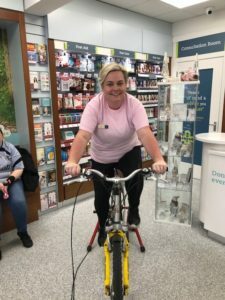 Great to see all the Haven Ladies in Pink to show their support for the Cups Against Cancer event..
Everybody took turns on the bike as the event ran for the full day – many miles were covered! 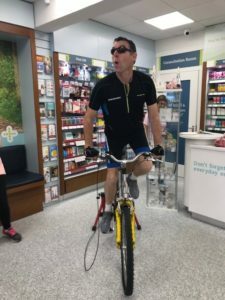 It certainly was good training for Karl our Pharmacist who is running the Dublin City Marathan and the end of the month for Irish Cancer Society. 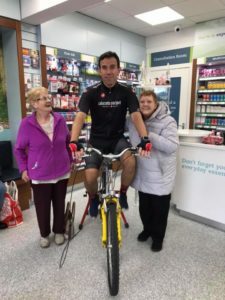 Best of luck Karl! 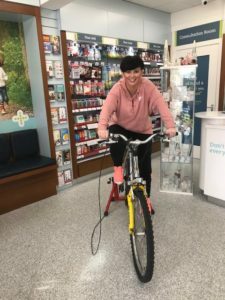 Thanks to everyone who donated, every cent counts!